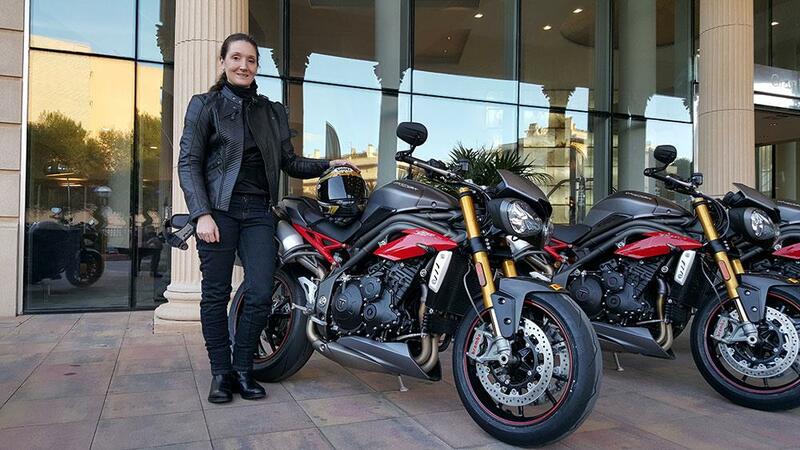 Morning from a bright but cool Monday in Tarragona, Spain for the launch of the new Triumph Speed Triple R. The range-topping 1050 naked has been given a thorough refresh for 2016, and it goes much further than those scowling new headlamps. The engine's been completely overhauled with 104 component changes, there's ride-by-wire throttle meaning riders now have a choice of 5 rider modes, traction control, multi level ABS, and some of the classiest cosmetic detailing we've ever seen on a production bike. We're off to ride it on the roads where it was developed this morning, before putting it to the limit around Calafat circuit this afternoon.